Model displaying beautiful purple designer net saree with gold embroidered border. Designed by Rabani and Rakha at Day 4 WLIFW Autumn/Winter 2014. Paired with maroon embellished full sleeves high neck saree blouse for back. Applique patch work designs all over blouse. Model walks in beautiful blue designer embroidery lehenga. Designed by Rabani and Rakha at Day 4 WLIFW Autumn/Winter 2014. Embroidered mirrors and patch work all over lehenga. It is a cream embellished netted dupatta. Small mirrors across it. 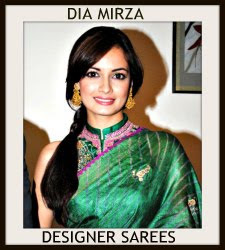 Paired with green designer sleeveless saree blouse for back. Gold brasso work on it. Model displaying beautiful purple designer net half saree. Designed by Rabani and Rakha at Day 4 WLIFW Autumn/Winter 2014. Gold horizontal lines all over lehenga. It is a purple embroidered dupatta with patch work border. Embroidered mirrors all over dupatta. Paired with designer embellished sleeveless saree blouse for back. Model walks in beautiful green designer embellished net lehenga. Designed by Rabani and Rakha at Day 4 WLIFW Autumn/Winter 2014. Embellished applique patch work designs through out border. It is a green georgette dupatta with patch work border. Paired with designer embellished sleeveless saree blouse for back. Small gold patch work all over blouse. Model displaying beautiful blue designer embellished net lehenga. Designed by Rabani and Rakha at Day 4 WLIFW Autumn/Winter 2014. Embellished patch work designs through out border. It is a blue embellished netted dupatta. Patch work all over dupatta. Paired with designer embellished sleeveless saree blouse for back. Small mirrors on it. Bollywood actress Kajol in Rabani and Rakhai saree at Raghav Sachar - Amita Pathak Wedding. Gold embroidered sequins buttes and mirrors all over saree and gold plain border. Paired with designer embroidered halter neck saree blouse. Bollywood celebrity Swara Bhaskar in beautiful white designer plain saree. 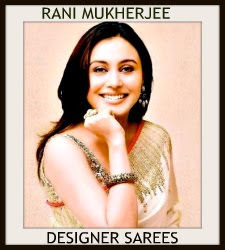 Designed by Rabani and Rakha at Screen Awards 2014. Paired with designer embellished one shoulder saree blouse. 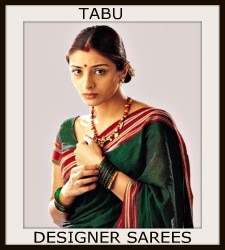 Model displaying beautiful cream designer shimmer faux georgette saree. Designed by Rabani and Rakha at Day 4 Wills India Fashion Week Spring/Summer 2013. Embellished patch work on it. Paired with designer sleeveless saree blouse for back. Model walks in beautiful cream designer plain lehenga with thread work border. 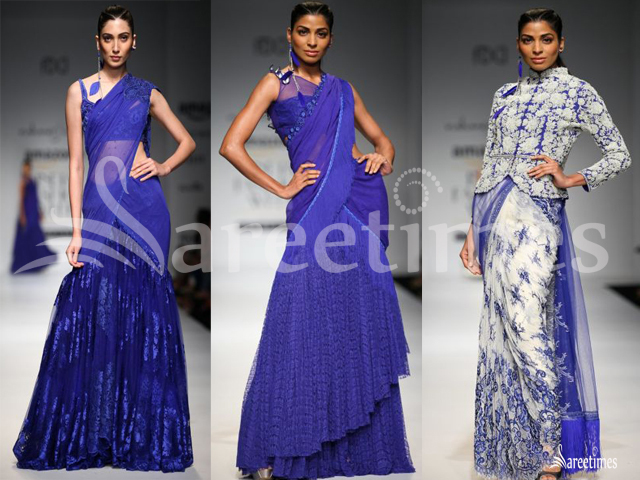 Designed by Rabani and Rakha at Day 4 Wills India Fashion Week Spring/Summer 2013. It is a georgette plain dupatta with embroidered border. Paired with cream designer embroidered high neck saree blouse for back. Embellished applique patch work and studs all over blouse. Model walks in beautiful cream designer embellished saree. Designed by Rabani and Rakha at Day 4 Wills India Fashion Week Spring/Summer 2013. Gold embellished patch work all over saree. 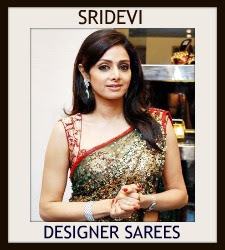 Paired with designer sleeveless saree blouse for back. Embellished applique patch work all over blouse. Model walks in beautiful cream designer plain netted lehenga. Designed by Rabani and Rakha at Day 4 Wills India Fashion Week Spring/Summer 2013. It is a plain netted dupatta. Paired with cream designer embroidered sleeveless saree blouse for back. Embellished patch work on it. 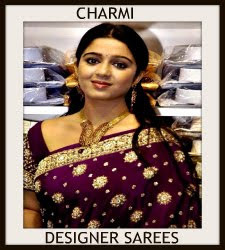 Model displaying beautiful cream designer embroidery netted half saree. Designed by Rabani and Rakha at Day 4 Wills India Fashion Week Spring/Summer 2013. Gold embellished patch work designs and thread work all over lehenga and simple border. It is a cream netted dupatta with plain border. Paired with designer sleeveless saree blouse for back. 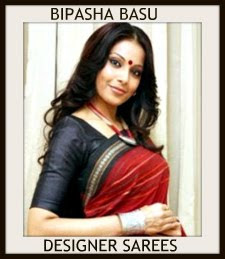 Model displaying beautiful cream designer plain drape saree. Designed by Rabani and Rakha at Day 4 Wills India Fashion Week Spring/Summer 2013. 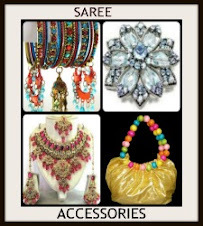 Paired with designer embellished one shoulder saree blouse for back. 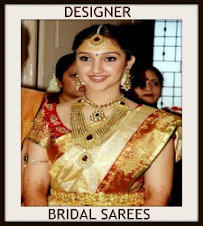 Model walks in beautiful cream designer embroidery net saree. Designed by Rabani and Rakha at Day 4 Wills India Fashion Week Spring/Summer 2013. 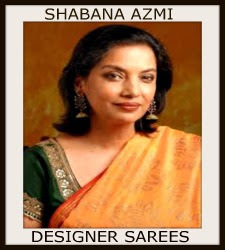 Shimmering work and small beads all over saree and plain border. Paired with designer embellished one shoulder saree blouse for back. Model walks in beautiful white designer embroidery saree. Designed by Rabani and Rakha at Day 4 Wills India Fashion Week Spring/Summer 2013. Gold embellished patch work all over saree and through out border. Paired with designer embellished one shoulder saree blouse for back. 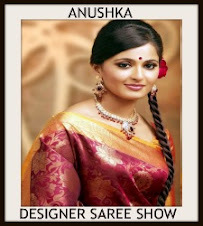 Model displaying beautiful cream designer embroidery netted half saree. Designed by Rabani and Rakha at Day 4 Wills India Fashion Week Spring/Summer 2013. Gold embellished patch work designs and thread work all over lehenga and simple border. It is a cream netted dupatta with patch work all over. Paired with designer sleeveless saree blouse for back. Model walks in beautiful cream designer plain netted lehenga. 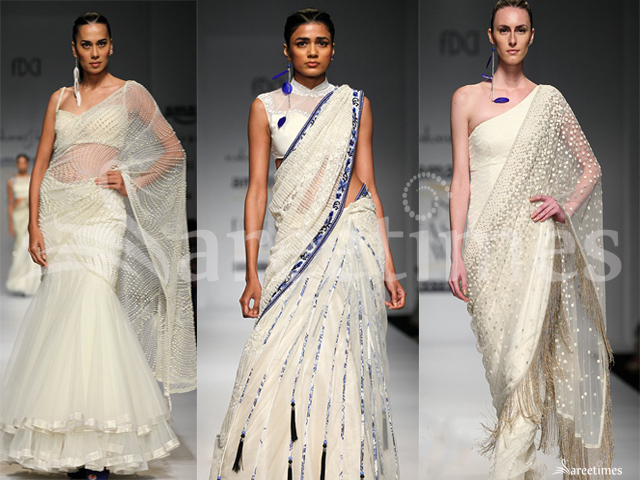 Designed by Rabani and Rakha at Day 4 Wills India Fashion Week Spring/Summer 2013. It is a georgette dupatta. Gold embellished patch work all over dupatta and gold plain border. Paired with cream designer sleeveless saree blouse for back with wide neck pattern. 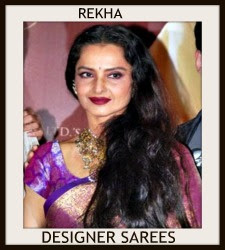 Model displaying beautiful brown and mustard designer chiffon saree with embroidered border ,studs,thread work paired with designer embroidered sleeveless saree blouse from designer Rabani and Rekha at on day 5 of Wills India Fashion Week 2011. 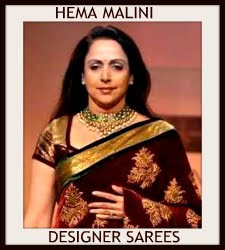 Model displaying beautiful ochre designer embroidery net saree with crystals,sequins buttes,studs and embroidered border work paired with embroidered sleeveless saree blouse from designer Rabani and Rekha at on day five of Wills India Fashion Week 2011.